Juliana Gatsby Girls Art Deco Lady Figurine collectable range. 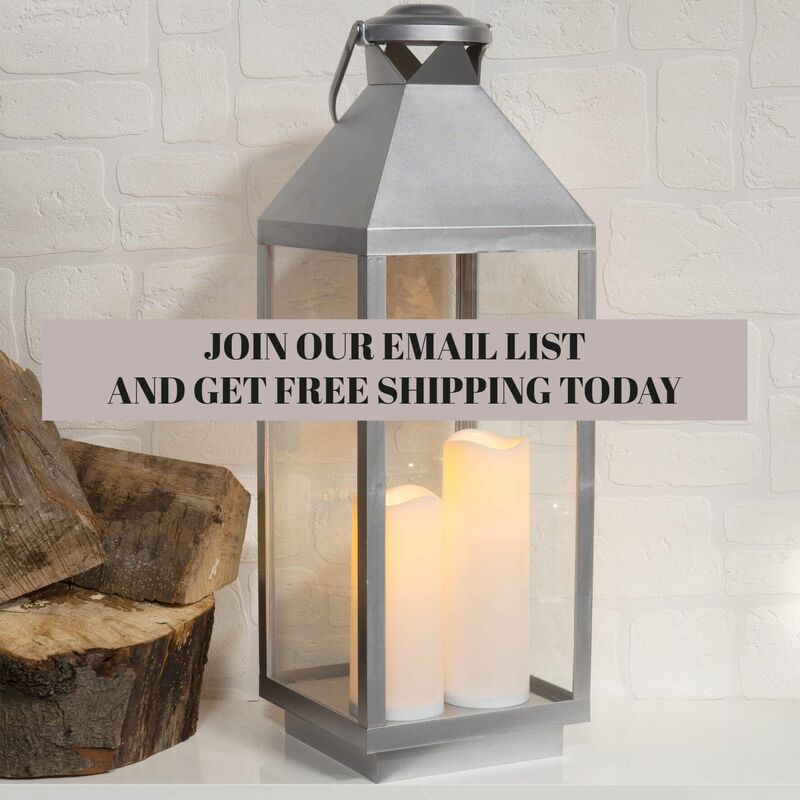 This range of fringed home accessories compliments this seasons trend of fringed home decor. 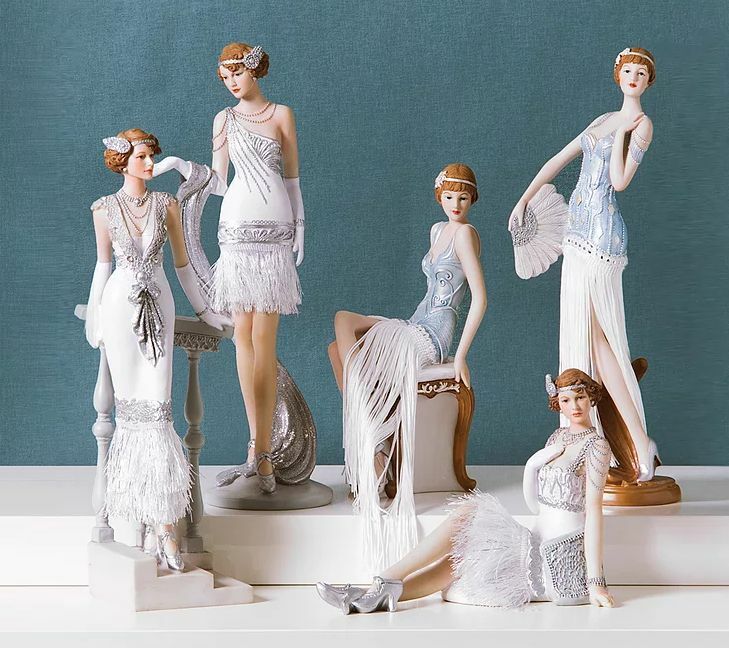 A Beautiful high quality range of Art Deco 1920s inspired lady figurines expertly crafted from high grade resin and hand finished to an exceptional standard. 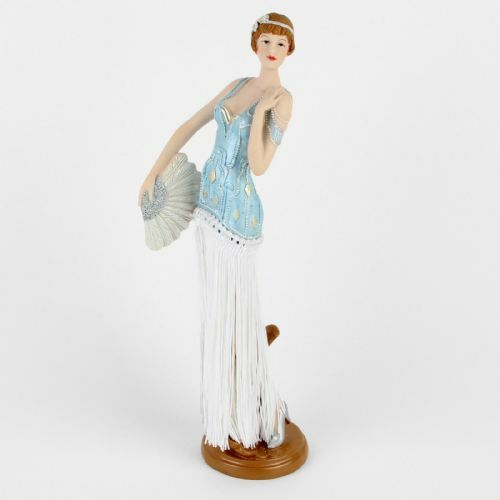 These stunning flapper girl figurines are lavishly embellished and feature real tactile fringed dresses.